KDV* recently released their bi-annual overhead survey for general practitioners. It’s the best of its kind for our area and it’s quite useful in analyzing expenses and setting budgets. Their last overhead survey was done in 2012. Since then, dental office overhead has remained right around 65% of collections (in 2012, 64.7%). The typical GP practice in this survey of mature area offices collects about $69,000 per month and nets about $290,000 per year (before taxes). In the 2012 survey, the average monthly collections were $65,000 with a net of about $272,000. Over 45% of dental office overhead is staff wages. Gross wages come to about 26.9% of collections, up slightly from the previous survey. 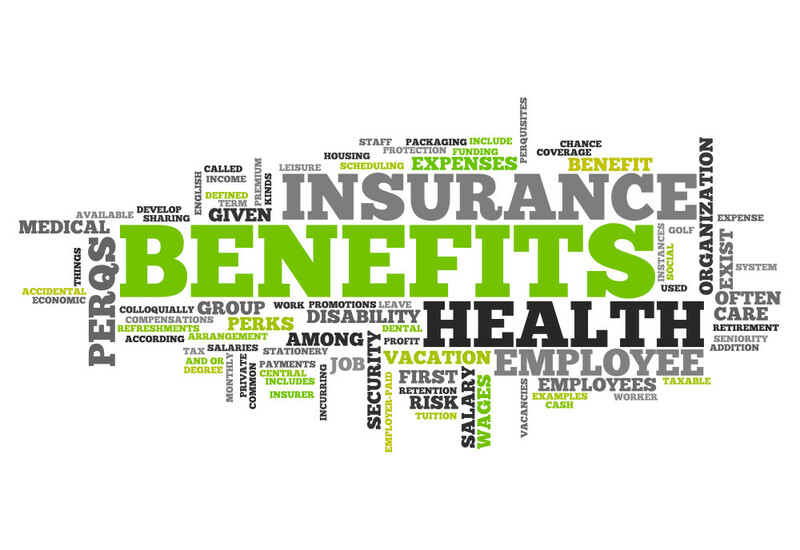 Including benefits, staff costs are about 31%. Since staff costs are your major controllable expense, it’s a very important area to focus on “Result Control” (not just “Cost Control”). This is the time of year where many Doctors are looking at staff compensation. According to our recent survey, about 40% of Metro area practices and 56% of Outstate area practices have, or planned on, giving. Market Rates: Regardless of “costs”, you have to meet the market to attract and keep good staff. For example, nowadays, assistants are in higher demand, especially in Outstate areas, so they can command higher wages. Practice Growth and Profitability: The way I look at it, the staff’s slice of the pie is about 25% of collections. I recommend that each year our clients compare their gross wages to collections to see if that percentage is increasing or decreasing in their practice. Of course, the object of the game is to not have the staff salaries as a percentage of collections grow faster than the practice. However, if you have good practice growth, it’s likely the staff salaries have decreased as a percentage of collections, thus giving you more potential to award raises for those that deserve it (see below). Merit: Individual performance and contribution to the team effort. So the market rate sets the base floor of pay. The practice’s growth and staff salaries give you a budget and individual merit helps you decide how to allocate those dollars. Would you like our help in setting up a budget for 2015? Just ask your APM consultant! Call (952) 921-3360. We’d be happy to help! Lab costs have decreased from 7.1% to 6.6 % of collections. This is most likely due to more offices with CAD/CAM technology (CEREC/E4D). At the same time, “Professional Supplies” are up slightly from 7.2% to 7.5%. Professional banking and other fees are up from 2.2% to 2.4%. More patients using credit cards means more bank charges (more about that in another issue). Professional fees, including consulting and accounting, should be under 2-½%. A quick pitch here: our fees typically come to less than 1% of our clients’ gross production and rarely over 2%. We feel that with a little help from your friends (us!) you get way more than that in return through leveraging your and your staff’s time and talents with good business practices. Surprisingly, the advertising percentage has not really increased. It’s around 1.7% of collections. Given the typical practice writes off well over 10% of its production due to PPO discounts, I would think that more Doctors would be spending more money on advertising to enable them to cut back a bit on PPO participation and the serious discounts and expense incurred. So, for example, if you’re collecting less than 80% of your production (and I can’t believe I am saying this—there used to be a time when no one collected less than 80%! ), you probably are participating in more PPO’s than you need to. Ironically, the Doctors in the best position to peel off PPO participation are the ones that are temperamentally less inclined to do so. There are few decisions in your practice that have more potential risks and rewards than those to do with PPO participation, so please make use of our expertise in this area. We have made or saved many Doctors many $1,000’s. 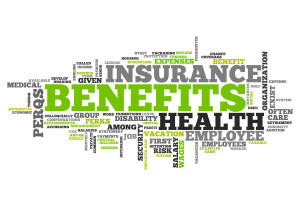 Incentives and Budgets: About 33% of practices have a staff bonus/incentive plan. On a scale of 1-10, the Doctors with these plans rated them at “7”. I’ve seen incentive plans work miracles. I’ve seen them fall flat or eventually fizzle out. Good incentive plans have to be tied in with a good business plan. The staff has to know how they can win and what each individual has to do to contribute to the practice’s growth. Just setting a production or collection target with no concrete ways to get there is a sure way to frustrate the team. Mathematically, all the incentives we recommend are in light of the above overhead statistics so that the more incentive you’re paying, the better your ratios are getting. Everybody wins. If you’d like our assistance in setting up an incentive program, let us know. If you already have an incentive program, please check with us at least once a year so that we can make any necessary adjustments. All incentive programs need to be tuned at least annually. Digital Communications – (Demand Force, Lighthouse, Smile Reminder, RevenueWell, etc.) continue to come on very strongly. 38% of practices now use this. Just a few years ago, it was under 10%. Like any other kind of software, signing up is just the first step—we can help your team get the most out of it. Digital communication technology should turn into freed up staff time, perhaps reduced cancellations, increased recall visits, more reviews, more patient testimonials and more production! 21% of general practices now offer Invisalign, Clear Correct or other orthodontic treatment. 34% use laser caries detection (e.g. Diagnodent), 7% are using digital impression scanners and 73% of offices have digital radiography. (By the way, that means 27% of offices don’t; thus, we do not feel there is any huge urgency to convert to completely electronic health records. We don’t see any evidence of any Government Agency pushing hard to enforce that. So, by all means, move to electronic health records but don’t do it out of some fear of government deadline or some jive sales talk). 43% of offices said they were chartless with 72% having terminals in the treatment rooms, which, of course, correlates very closely with digital radiography (73%). 50% of hygienists now use magnifying loupes. 78% of offices have websites and 38% have mobile websites. 6% of offices reported they have Cone Beam Imaging. The average fee charged is $300. PPO/Insurance Participation: PPO participation and write offs continue to dig in. Participation with Delta Premier (87%) and Delta PPO (30%) remains about the same as last year. 7% of Doctors reported they had dropped participation in a PPO in the last 12 months and 4% plan on dropping a PPO in the coming months. However, 12% have joined a PPO network in the last 12 months. Again, if you’re considering joining or dropping a PPO, please check with us first. Metro Area fees were up 2.4%. Outstate Area fees were up 3.2%. Wages were up about 1.8%. We have detailed Overhead, Technology, Wage, Fee and Benefit Surveys on our website. Plus, numerous Bulletins, articles and interviews that address a wide range of subjects. We are your source for reliable, practical information. In a world full of big insurance companies, corporate dentistry and governmental complications, we are the pros that are on your side. That is, the Doctors who are and want to continue to practice independently, deliver top-notch service to patients, take good care of their staff and earn a good living doing good! This entry was posted in Bulletin Articles, Dental Practice Management and tagged dental office management, dental office overhead, dental office staff salaries on February 27, 2015 by Bill Rossi. Bill Rossi has over 25 years of experience in dental practice management. He and his associates are actively involved in the ongoing management of over 240 practices.